We stock a wide range of Dog Biscuits, Mixers and Treats from the leading brand names in economical bulk sizes, such as Bonios, Gravy Bones, Markies, Biscrok and Shapes, that can be used; to reward good behaviour, help with obedience and agility training and used as a mixer with; Tinned Food, Chubs - Sausage Meat or Frozen Dog Food. Our range of dog biscuits includes a variety of irresistible dog treats, that are available in all shapes and sizes, so your dog will be spoilt for choice, with selected free delivery deals. Dog biscuits regardless of size or brand are basically made using the same combination of ingredients, for instance cereals, vegetables, yeast, milk, fish and animal derivatives, with added minerals, oils and fats. So owners with several dogs, can save even more money by shopping around and buying the less advertised brands or lookalikes in large boxes, rather than the expensive small packets of biscuits or treats from their local supermarket or pet shop. 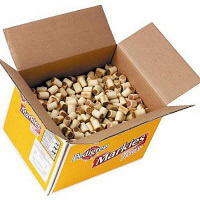 For instance if your dog enjoys bonios, why not try a box of Fold Hill Assorted Bonibix that are almost identical in shape and size, that are also available in plain or charcoal varieties or perhaps the Marrowbone Rolls, that are very similar to pedigree markies? Just like a traditional pet shop our dog biscuits are also available in small handy re-packed bags that we weigh ourselves on site, so if you can't decide what to buy your pampered pooch, you can always try a selection of loose, tasty dog biscuits, that I'm sure will be most appreciated and let them show you what they like woof, woof! Why not visit our Rawhide Dog Chews page to view the range of natural dog treats and alternative complete dog foods such as Frozen Dog Food, Chubs, Naturediet and Natures Menu Pouches & Foils, that can be mixed with dog biscuits or a mixer to compliment your dog's feeding plan, to provide a nutritionally balanced diet. 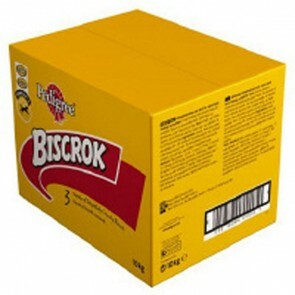 Biscuits & Mixers: 5 stars out of 5 based on 9 user reviews. I have two very fussy dogs, both like it. I will use again. Quick delivery, product as described. Well packaged, great deal. First time I have used Value Pets, very pleased with the speed of delivery and the package was packed very well so the biscuits were not in a hundred pieces. Will use again and recommend others. These biscuits have been given to our dogs for some years and are first class, as is also the quick delivery, which is normal. Fold Hill Terrier Meal is an excellent product, with a pleasant herby smell. It is both tasty and nutricious and the crunchiness helps to keep my Smooth Fox Terrier's teeth clean.. The addition of various vitamins ensures my pet keeps healthy in body and maintains a fine coat.. Excellent service with great communication- I intend to buy from them again!